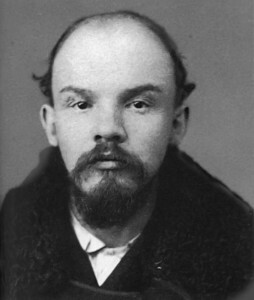 Police photo of Vladimir Il’ich Lenin, taken after his arrest in 1895 for participation in the St. Petersberg Union of Struggle for the Liberation of the Working Class. DAVID BLACK’S VALUABLE COMMENTS and further historical exposition (in Platypus Review 18, December 2009) of my review of Karl Korsch’s Marxism and Philosophy (Platypus Review 15, September 2009) have at their core an issue with Korsch’s account of the different historical phases of the question of “philosophy” for Marx and Marxism. Black questions Korsch’s differentiation of Marx’s relationship to philosophy into three distinct periods: pre-1848, circa 1848, and post-1848. But attempting to defeat Korsch’s historical account of such changes in Marx’s approaches to relating theory and practice means avoiding Korsch’s principal point. It also means defending Marx on mistaken ground. Black considers that Korsch’s periodization — his recognition of changes — opens the door to criticizing Marx for inconsistency in his relation of theory to practice. But that is not so. However one may wish to question the nuances of Korsch’s specific historiographic periodization of the problem of Marxism as that of the relation of theory and practice, both during Marx’s lifetime and after, this should not be with an eye to either disputing or defending Marx or a Marxian approach’s consistency on the matter. One may perhaps attempt a more fine-grained approach to the historical “fluctuations” of what Adorno called the “constitutive” and indeed “progressive” aspect of the “separation of theory and praxis.” Korsch’s point in the 1923 “Marxism and Philosophy,” followed by Benjamin and Adorno, was that we must attend to this “separation,” or, as Adorno put it, “non-identity,” if we are to have a properly Marxian self-consciousness of the problem of “Marxism” in theory and practice. For this problem of the separation of theory and practice is not to be deplored, but calls for critical awareness. Marx was consistent in his own awareness of the relation of theory and practice. This meant that at different times Marx found them related in different ways. [A] proletarian party cannot be made the object of contemplative criticism. . . . Bourgeois criticism of the proletarian struggle is a logical impossibility. . . . At times such as the present, revolutionary belief may not really be compatible with great clear-sightedness about the realities. Horkheimer elaborated further that proletarian revolutionary politics cannot be conceived on the model of capitalist enterprise, and not only for socioeconomic class-hierarchical reasons, but rather because of the differing relation of theory and practice in the two instances; it is the absence of any “historical consciousness” of the theory and practice problem that makes “bourgeois criticism of the proletarian struggle” a logical “impossibility.” As Lukács put it, in “Reification and the Consciousness of the Proletariat” (1923), “a radical change in outlook is not feasible on the soil of bourgeois society.” Rather, one must radically deepen — render “dialectical” — the outlook of the present historical moment. The point is that a Marxian perspective can find — and indeed has often found — itself far removed from the practical politics and (entirely “bourgeois”) ideological consciousness of the working class. This has not invalidated Marxism, but rather called for a further Marxian critical reflection on its own condition. It is my conviction that the critical juncture for a new International Working Men’s Association has not yet arrived and for that reason I regard all workers’ congresses or socialist congresses, in so far as they are not directly related to the conditions existing in this or that particular nation, as not merely useless but actually harmful. They will always ineffectually end in endlessly repeated general banalities. Marx had a critical theory of the relation of theory and practice — recognizing it as a historically specific and not merely “philosophical” problem, or, a problem that called for the critical theory of the philosophy of history — and a political practice of the relation of theory and practice. There is not simply a theoretical or practical problem, but also and more profoundly a problem of relating theory and practice. We are neither going to think our way out ahead of time, nor somehow work our way through, in the process of acting. We do not need to dissolve the theory-practice distinction that seems to paralyze us, but rather achieve both good theory and good practice in the struggle to relate them properly. It is not a matter of finding either a correct theory or correct practice, but of trying to judge and affect their changing relation and recognizing this as a problem of history. Marx overcame the political pitfalls and historical blindness of his “revolutionary” contemporaries, such as the pre-Marxian socialism of Proudhon et al. leading to 1848, anarchism in the First International, and the Lassallean trend of the German Social-Democratic Party. It is significant that Marx’s Critique of the Gotha Programme (1875) critiqued the residual Lassallean politics of the Social Democrats for being to the Right of the liberals on international free trade, etc., thus exposing the problem of this first “Marxist” party from the outset. Originally published in The Platypus Review #20 (February 2010). Parts included for presentation on “Adorno and Korsch on Marxism and philosophy” at the Historical Materialism conference, York University, Toronto, May 14, 2010. 1. Theodor W. Adorno, Negative Dialectics, trans. E. B. Ashton (New York: Continuum Publishing, 1983), 143. 2. Adorno, “Marginalia to Theory and Praxis,” in Critical Models, trans. Henry W. Pickford (New York: Columbia University Press, 1998), 266. This essay, a “dialectical epilegomenon” to his book Negative Dialectics that Adorno said intended to bring together “philosophical speculation and drastic experience” (Critical Models, 126), was one of the last writings he finished for publication before he died in 1969. It reflected his dispute with fellow Frankfurt School critical theorist Hebert Marcuse over the student protests of the Vietnam War (see Adorno and Marcuse, “Correspondence on the German Student Movement,” trans. Esther Leslie, New Left Review I/233, Jan.–Feb. 1999, 123–136). As Adorno put it in his May 5, 1969 letter to Marcuse, “[T]here are moments in which theory is pushed on further by practice. But such a situation neither exists objectively today, nor does the barren and brutal practicism that confronts us here have the slightest thing to do with theory anyhow” (“Correspondence,” 127). 3. Rosa Luxemburg, “The Russian Revolution,” in The Russian Revolution and Leninism or Marxism (Ann Arbor: University of Michigan Press, 1961), 80. 4. Max Horkheimer, Dawn and Decline, trans. Michael Shaw (New York: Seabury Press, 1978), 40–41. 5. Karl Marx to Domela Nieuwenhuis, 22 February 1881, in Karl Marx and Friedrich Engels: Selected Correspondence, 1846-1895, trans. Dona Torr (New York: International Publishers, 1942), 387, <www.marxists.org/archive/marx/works/1881/letters/81_02_22.htm>. Marx says [in The Eighteenth Brumaire of Louis Bonaparte (1852)]: “[T]he democrat (that is, the petty bourgeois revolutionary) [comes] out of the most shameful defeats as unmarked as he naively went into them; he comes away with the newly gained conviction that he must be victorious, not that he or his party ought to give up the old principles, but that conditions ought to accommodate him.” The modern proletariat comes out of historical tests differently. Its tasks and its errors are both gigantic: no prescription, no schema valid for every case, no infallible leader to show it the path to follow. Historical experience is its only school mistress. Its thorny way to self-emancipation is paved not only with immeasurable suffering but also with countless errors. The aim of its journey — its emancipation depends on this — is whether the proletariat can learn from its own errors. Self-criticism, remorseless, cruel, and going to the core of things is the life’s breath and light of the proletarian movement. The fall of the socialist proletariat in the present world war [WWI] is unprecedented. It is a misfortune for humanity. But socialism will be lost only if the international proletariat fails to measure the depth of this fall, if it refuses to learn from it.